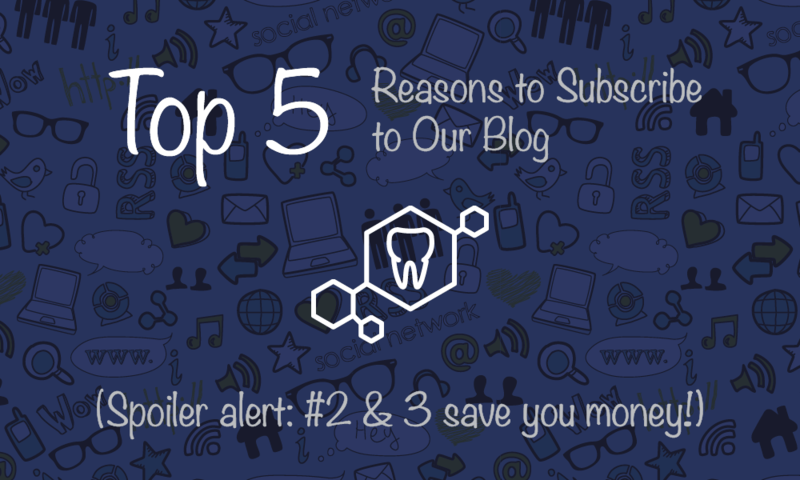 You might think to yourself: “Why on earth would I want to subscribe to my dentist’s blog?” Well ‐ that’s the very question we’ve asked ourselves in creating our blog posts! We aim to deliver useful, relevant, current information that matters to Visalia dental patients just like you. Reason #5: Get exclusive tips for overall health delivered right to your inbox ‐ it’s convenient, free, and good for you! Dental care encompasses more than just teeth ‐ your oral health is connected to your overall health and well‐being. We regularly share articles that can help you achieve better health and wellness. Additionally, you’ll get first access to home dental care tips and information about specific dental concerns for each member of the family. Reason #4: Get to know your Visalia dentist and dental team (we’re pretty cool)! Each member of the team here at Michael T. Bodensteiner has been hand‐selected to offer the best care in our community! Get to know us and learn more about what we love (besides teeth)! Reason #3: Get first access to exclusive special offers, contests, and more! We know families in our community shop for the absolute best value, and we’re proud to deliver exceptional care and exciting special offers! Our referral program, new patient specials, seasonal offers, and more are posted on our blog first ‐ never miss out on a valuable opportunity when you subscribe to our blog! Reason #2: Learn how to maximize your dental insurance benefits with helpful reminders and tips. We know navigating dental insurance and flex spending accounts can be confusing. While we’re always happy to help answer your questions over the phone or in person, we also post informative blog articles to help you stay on top of your benefits ‐ and to make sure you don’t lose out on valuable coverage. Reason #1: Stay in the loop and learn about what’s going on here in Visalia! We regularly post about what’s going on in our community ‐ subscribe to learn the latest and greatest. Do you have any questions for Dr. Bodensteiner that you’d like answered here on our blog? Leave us a comment and let us know!